In many ways, the word “teamwork” brings to mind some dusty images of baseball or WWII. In some ways, this word has turned in to a clichéd trope used constantly in every arena – who is on your “team,” how to communicate with your “team,” etc. Hospital medicine as often been called a “team sport” – by smarter people than I, though I have definitely believed that for a long time. This is a powerful tool, especially when you consider that the authors noted quantity of communication predicted quality teamwork, and errors are more often associated with coordination breakdown than technical lapses. Coordination breakdown. That is in the wheelhouse of the hospitalist. How many times have I been in the position of not knowing the specialist’s recommendation, or even if they had seen the patient? Being in the dreaded position of having to ask the patient or the family what the consultant had to say is a dissatisfier for patient and providers alike. We don’t have to look to innovative or novel technologies to improve the simple act of coordination and communication. Can you imagine the impact of something like this micro-blog on the patient experience? As a patient, instead of feeling like an afterthought and feeling uneasy about if your care team members are talking with one another, you would feel calm and safe. Brilliant. Simple. Inexpensive. Where do we go from here? 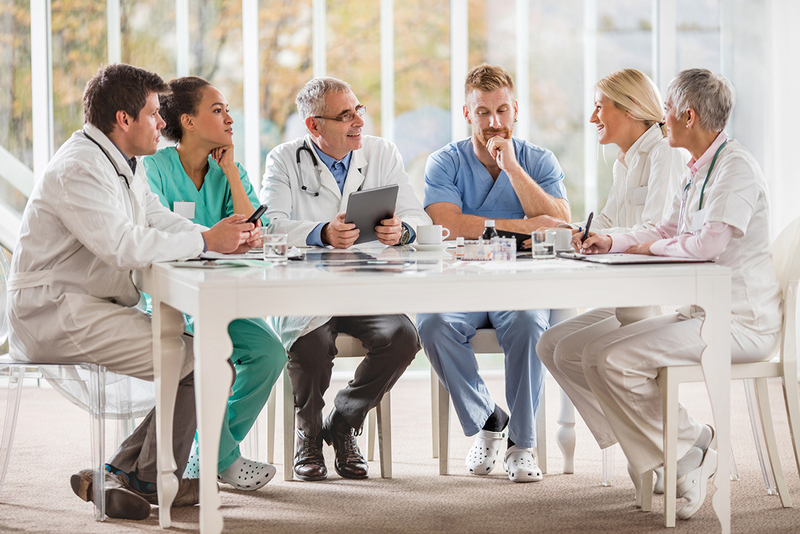 Some institutions are rounding in teams at the bedside, localizing hospitalists to units, rounding with different disciplines at the same conference table. Even a white board in the room, or at the unit level, that is utilized, messaged, can work as well. So, go out there and be the change you want to see. The question is – what is your solution?